Viviana Alcazar-Haynes graduated from California State Long Beach where she received a B.A in Dance. Since moving back to San Diego Viviana has been an active part of the dance community performing and creating original pieces featured in the Los Angeles and the San Diego Area. Viviana has been seen locally in Trolley Dances, Malashock Raw, Blythe Barton Dance, Somebodies dance theater, and AMRD dance, she has been a dancer of the PGK project from 2008-2013 and is currently the rehearsal director for PGK for the 2015 season. 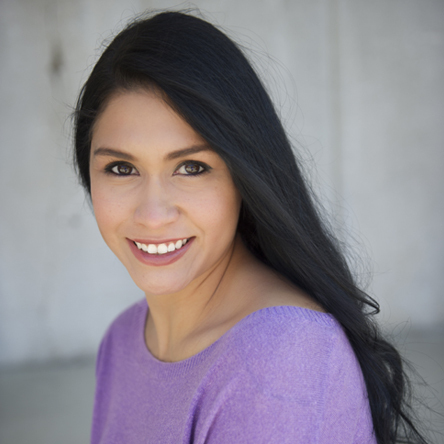 Viviana is currently a Dance Teaching Artist for Young Audiences, San Diego Unified School District, the Movement Dance Center, and is the owner of Heart2art offering dance education and training in San Diego. Viviana was awarded 2012 Teaching Artist of the Year with Young Audiences.